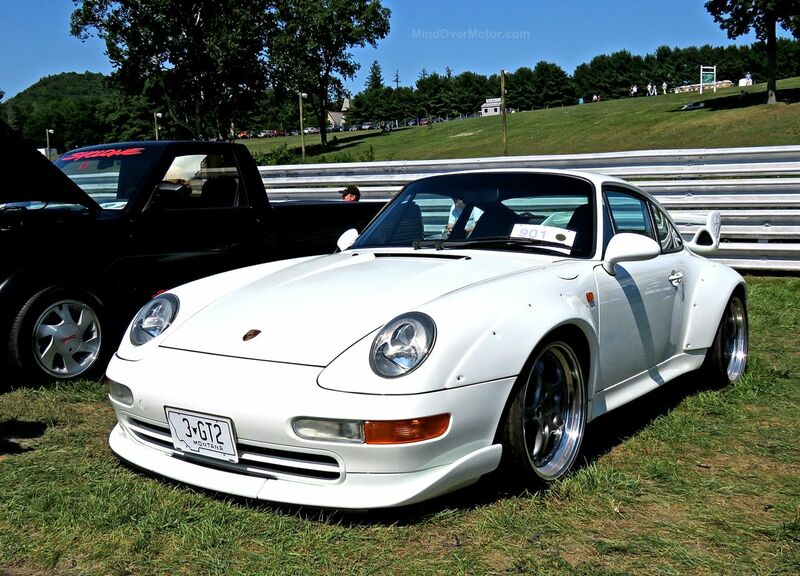 This 993 GT2 came here from Japan and now resides in New England, I believe. The owner said he had driven it to the show that day. 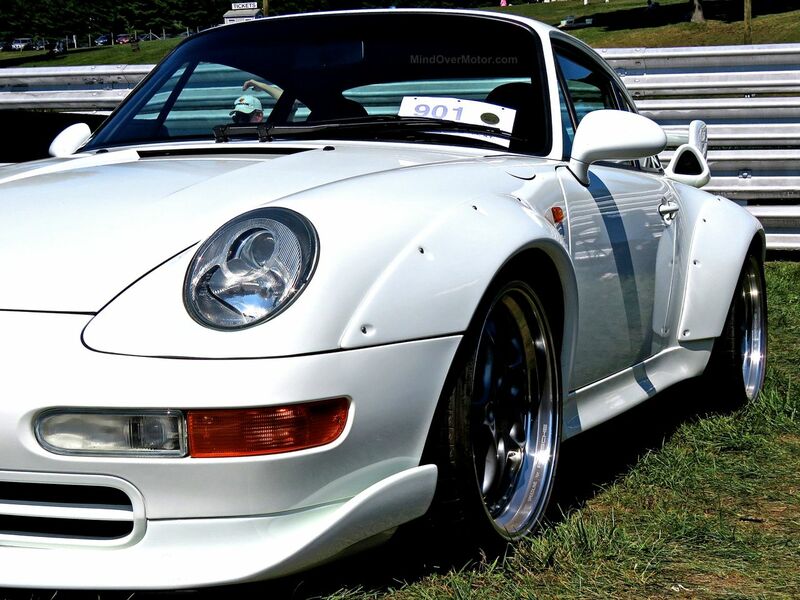 This is really the first 993 GT2 I’ve seen up close in person. I say “really” because I did catch a glimpse of the stunning blue 993 GT2 that recently sold at auction for $2.4M in the garage at the Porsche museum in Stuttgart. However, it was under a cover, and I wasn’t going to try and pull it off. 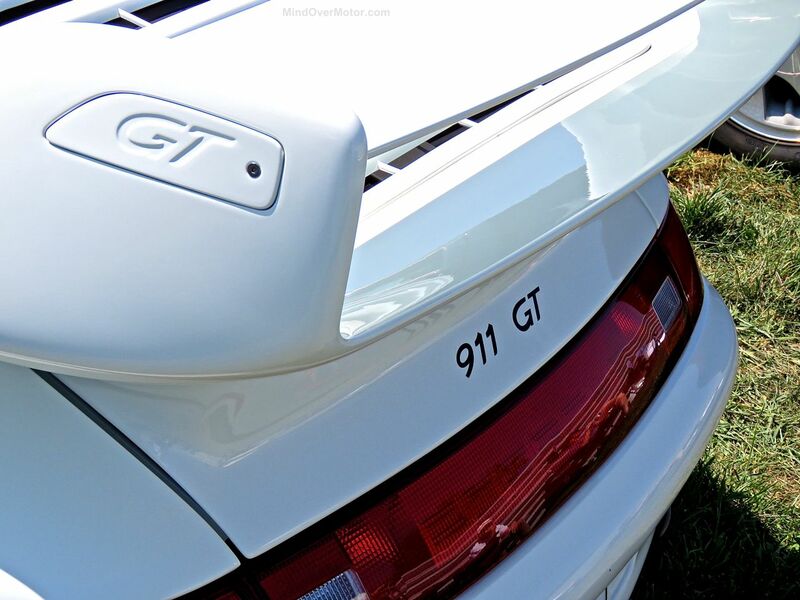 Obviously the 993 GT2 is one of those holy grail 911s fit for only the wettest of dreams. 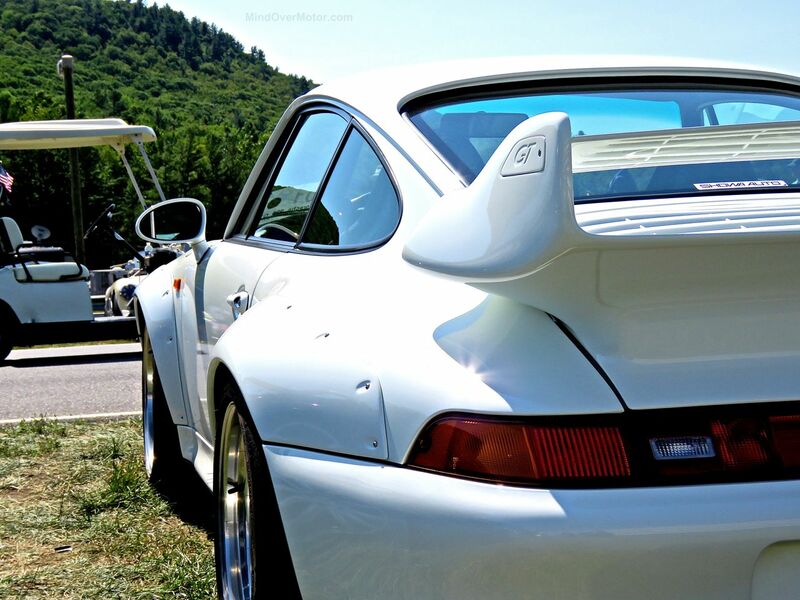 One of only 57 road-going 993 GT2’s made, it comes from a time when cars were lighter and much simpler, when 430 turbocharged horsepower in a rear engine / rear wheel drive package meant daddy might not be home for supper.